When searching for the right memory foam mattress, it’s important to consider the different types of memory foam. Memory foam mattresses are not all created equal, and different types of memory foam are better suited for different kinds of people and purposes. There are three common types of memory foam: traditional, air cool, and gel. Traditional memory foam is the kind of memory foam found in most older memory foam mattresses. Memory foam mattresses were first introduced in the 1990’s with traditional memory foam. Traditional memory foam mattresses have only gained in popularity since then. Many people prefer memory foam mattresses over spring mattresses because they offer more support. Memory foam also cushions the body better, so you’re not putting pressure on certain parts of the body, which can cause soreness and pain. Additionally, memory foam mattresses allow one partner to move around in bed without disturbing the other because of the way the memory foam absorbs impact. Traditional memory foam is also ideal for people who suffer from allergies. Memory foam is hypo-allergenic and resists dust mites and bacteria. Memory foam has been used in medical facilities for a long time because of these qualities. Now that traditional memory foam mattresses have been on the market for over 20 years, improvements have been made and there are more technologically-advanced types of memory foam mattresses out there. This also means that traditional memory foam mattresses have gone down in price. It’s now possible to get a great traditional memory foam mattress for under $500. Traditional memory foam has a major heat problem. Memory foam reacts to body heat, which is why it conforms to your body so well. This also means that heat gets trapped by the memory foam. Many people find that this makes memory foam too warm to sleep comfortably on, and you may wake up sweating on a traditional memory foam mattress. AirCool memory foam solves this heating problem. AirCool memory foam has a more open cell structure. This allows air to flow through the mattress easily. The increased airflow helps to cool the mattress beneath your body. This provides a more comfortable sleeping temperature and helps your body and mattress avoid overheating during the night. There are a few other differences between AirCool memory foam and traditional memory foam. Because of the more open cell structure, AirCool memory foam feels softer when you lay on it. AirCool memory foam is also springier than traditional memory foam. When you lay down on a traditional memory foam mattress, you’ll notice that you sink down into the mattress very quickly. AirCool memory foam mattresses spring back, so you won’t feel like you’re sinking into the mattress quite so much. Because of the more advanced technology involved in making AirCool memory foam mattresses, they are usually more expensive than traditional memory foam mattresses. AirCool memory foam mattresses are still fairly affordable, and the cost isn’t much higher than traditional memory foam mattresses. Gel memory foam is the newest and most advanced type of memory foam. Gel memory foam offers the same benefits as any other memory foam mattress. Gel memory foam, like traditional memory foam, absorbs impact, allowing one partner to move without disturbing the other. It’s also antimicrobial, just like traditional memory foam. Gel memory foam is different because it’s infused with gel. The gel in these gel memory foam mattresses is the same kind of gel found in gel insoles for shoes. It provides extra cushioning and support for the mattress. Gel memory foam has a few advantages over traditional memory foam. First, it’s denser and more supportive. For those who prefer a firmer mattress, gel memory foam is ideal. Gel memory foam mattresses are also excellent for people who suffer from back pain or general soreness. 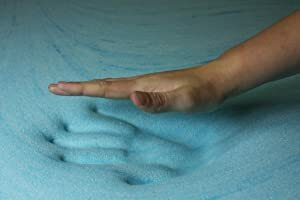 Gel memory foam can alleviate this pain for many people. In addition, because of its sturdier construction, gel memory foam lasts longer than traditional memory foam. Since gel memory foam is superior to traditional memory foam in many ways, it also tends to be more expensive. A good gel memory foam mattress is an investment, but it pays off in the end.